Hi friend! Hope your week is off to a great start. 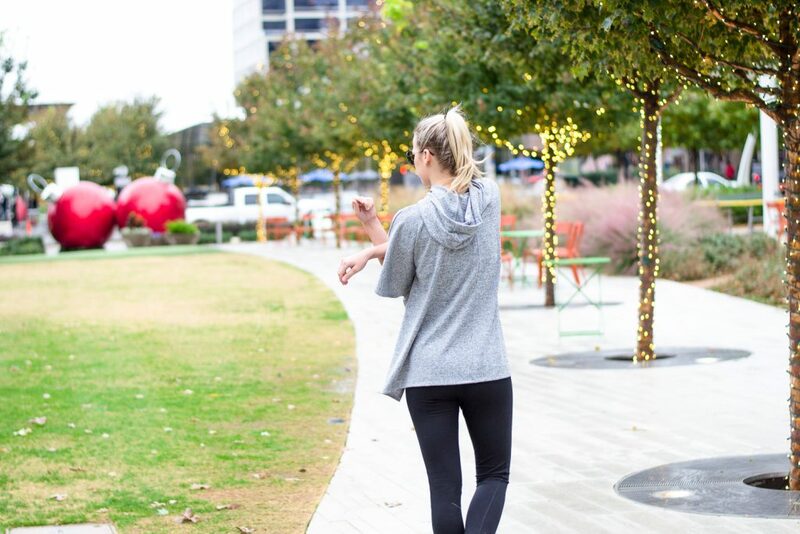 Today I am excited to be talking about one of my favorite parts of my daily routine – fitness! I know, I know… you are probably saying “I am not worried about working out right now.” During the winter I used to get off track and my fitness routine would take the backburner. After a few Januarys of painfully trying to get back on track, I finally found a few ways to motivate myself during the winter months. Let’s go through my favorite motivational tips! When I have a new top to workout in, bottoms which flatter my hard work at the gym, or a new piece to wear to and from, I get excited! 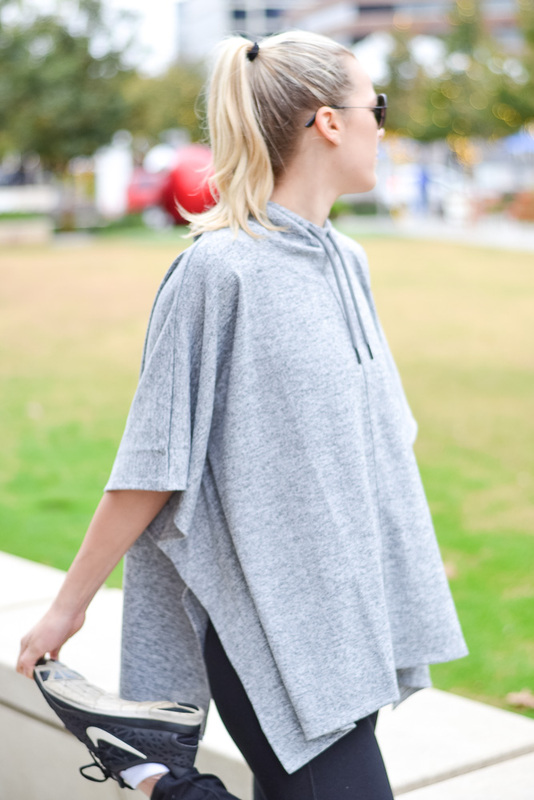 I love wearing new pieces to see how they withstand my workout. On days when I do not want to spend a fortune but want quality, I go to GapFactory. GF has everything I need without the price tag. The bottoms featured in this post are the definition of comfort plus they stay put! No one wants their yoga pants to leave them during downward dog. I used to make excuse after excuse not to workout. I do not like running errands in a sweaty top and would frequently make this an excuse to abandon my pilates class. Luckily for you and I, GapFactory has this incredible poncho which erases any excuse you could have thought of. Now when I know I will be going to and from, I put this poncho in my locker and throw it on over my tank. I also always carry a brush and a spritz bottle with my favorite essentials oils to refresh myself after a class. With the holidays in full swing, everyone needs a dress for the occasion! When I buy a dress which has a tighter fit, it is much easier for me to stay on track with a healthy diet and workout routine. I hate feeling uncomfortable in clothes and if you do not feel your best (because you have not been working out or eating right), you will not look your best! GapFactory has the cutest holiday dress options for less. I love this sweater dress, you could pair it with booties and a coat for an easy outfit! I also love this printed shift dress. It would look great with tights and heeled booties. Thank you to Gap Factory for sponsoring today’s post and thank you for supporting the brands which support Curated by Courtney.